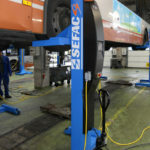 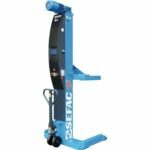 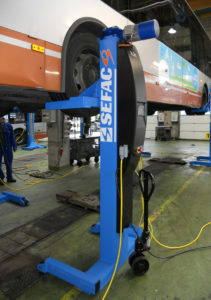 SEFAC USA offers a large choice of mobile columns to lift the most common vehicles of your fleet. 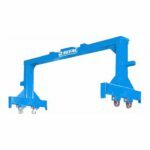 These columns differ by their lifting capacities as well as by their technologies. 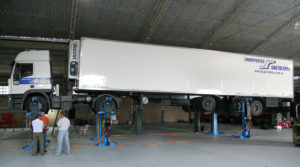 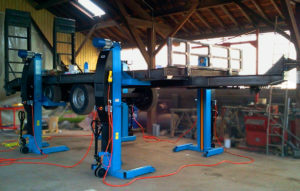 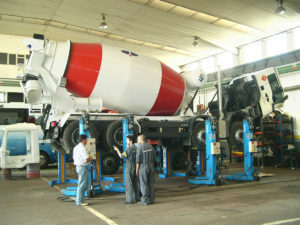 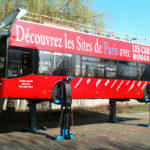 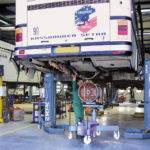 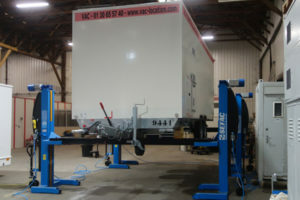 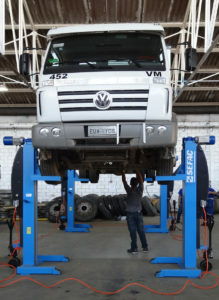 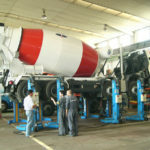 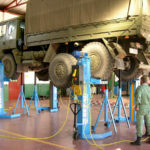 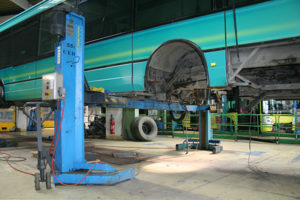 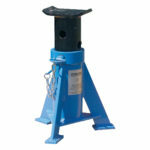 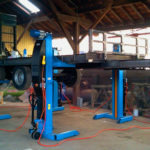 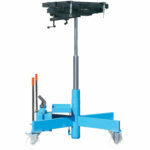 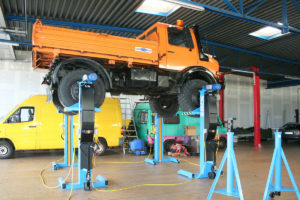 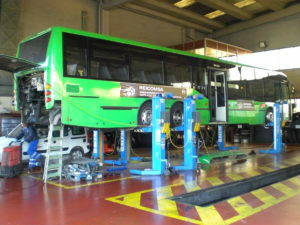 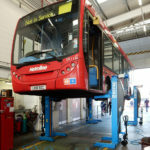 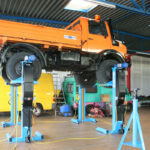 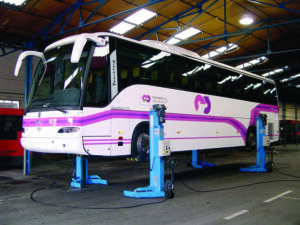 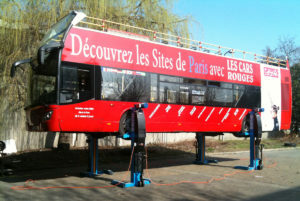 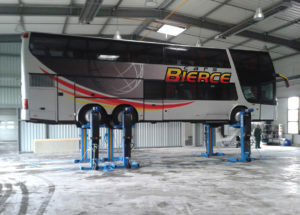 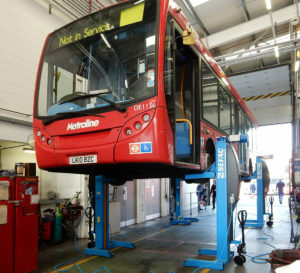 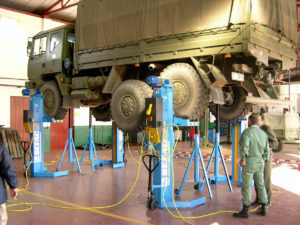 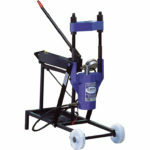 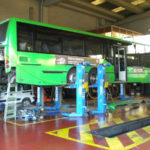 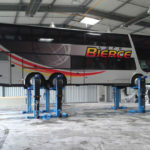 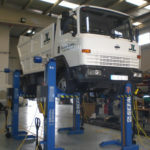 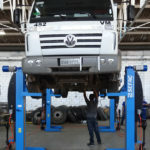 Mobile column lifts offer flexibility and security to the mechanic. Also, physical stresses are reduced to the minimum for him. 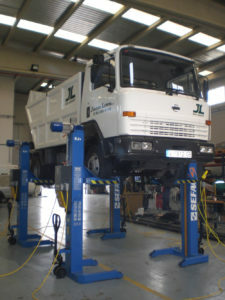 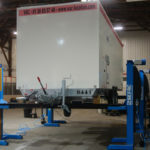 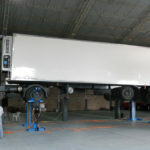 Mobile truck lifts are more cost-effective than workshop pits or scissor lifts. 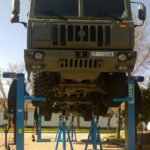 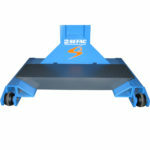 Axle stands namely allow the utilization of mobile column lifts on another vehicle and thus double your lifting capacity. 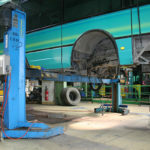 When not in function, column lifts can be stored in a corner of the workshop. 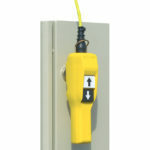 Wireless or wired: make your choice! 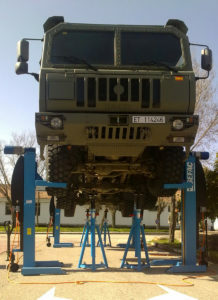 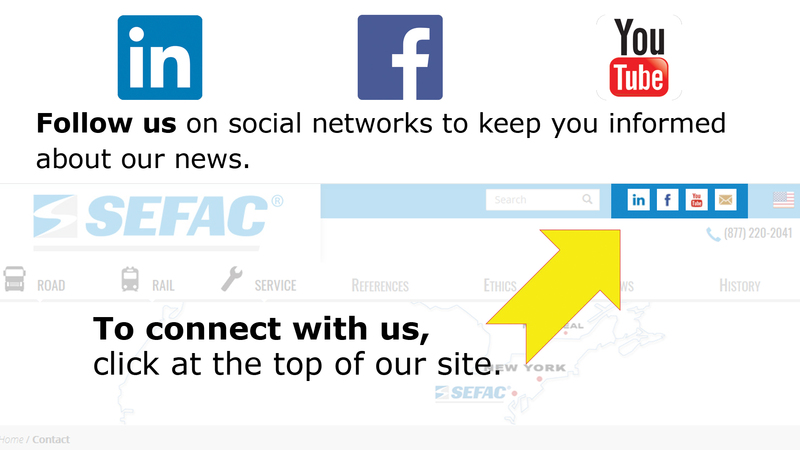 SEFAC USA continues to offer SEFAC ® mobile column lifts for heavy duty vehicles. 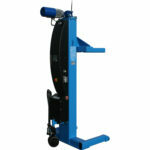 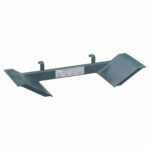 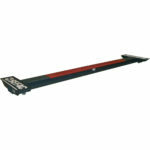 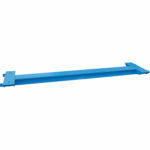 These heavy duty lifts can be wireless (SW2**) or wired (S1, S2 or S3*). 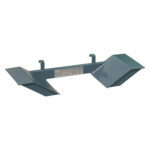 The SW2** wireless version is the most flexible solution of our range. 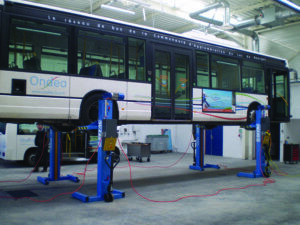 Wireless column lifts are operating with batteries and are synchronized thanks to a patented wireless communication protocol. 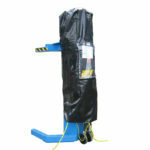 These column lifts can be used everywhere (indoor and outdoor) as long as the floor is appropriate. 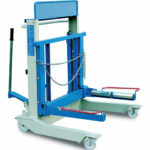 Wired version is particularly adapted if it is not required to move the column lifts in the workshop. 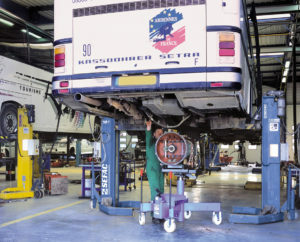 Thus, the S1 (more for buses, coaches and HD trucks) or the S2 and the S3* (more for civil works vehicles, airport vehicles and garbage trucks) can be sufficient.